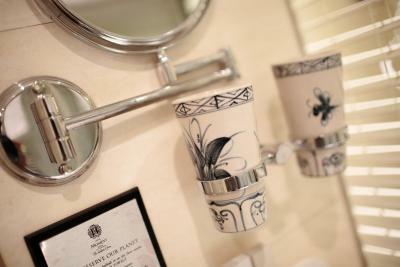 Lock in a great price for The Hanoian Hotel – rated 9.3 by recent guests! Verry happy we stayed here! Superfriendly! Nice tips what to see in the city! 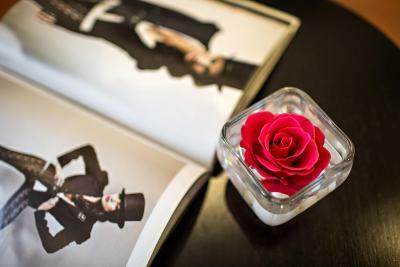 Nice room! Amazing staff! Good breakfast, great beds! We loved it! 🙌🙌🙌 Thank you!!!! So friendly! Very helpfull staff and good tips too see in Hanoi! Thank you so much! Just perfect! Great location; room was very quiet, A/C worked well, and water pressure was great. Nice breakfast and great staff. Nice hotel with a wonderful staff in the old quarter of Hanoi. Great for walking around town to explore the market and streets. The staff was extremely friendly to us and our children. Wonderful stay - very friendly staff! Penthouse room is great value. Such friendly and helpful staff, great rooms, very comfortable beds and accommodations, would definitely stay here again! 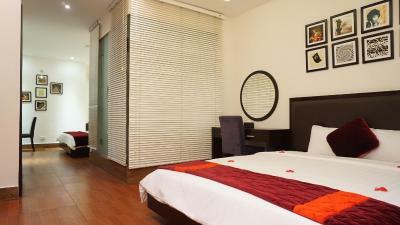 Room was beautiful and and spacious, bed was comfortable, staff very helpful. This was our third stay here over a two week period as we explored this area of Vietnam. Our first two stays were lovely and this one was no exception. We did have one little isssue upon check-in, but it was quickly and kindly resolved. Their breakfast is very nice. You can choose from many options available or order from the menu. I am allergic to gluten and dairy and they were easily able to accommodate. During all of our time there Kate, their concierge, took amazing care to make sure our stay was the best possible. My advice? Trust in Kate! Go to the spa she recommends, it’s amazing. Go to the restaurants she recommends, they’re delicious. She has many different tour options and is able to advise which will provide the experience you want. She takes her time every morning to make sure everyone is taken care of and happy. 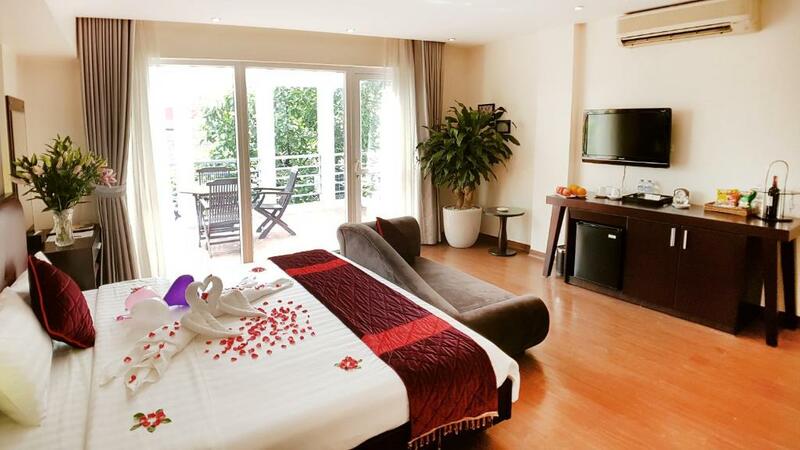 The Hanoian Hotel This rating is a reflection of how the property compares to the industry standard when it comes to price, facilities and services available. It's based on a self-evaluation by the property. Use this rating to help choose your stay! 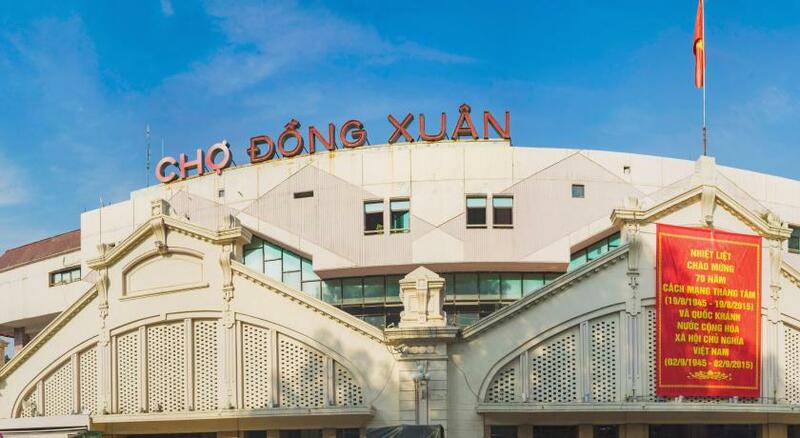 Located in Hanoi’s Old Quarter, The Hanoian Hotel is just 3 minutes’ walk from Dong Xuan Market and the weekend night market. 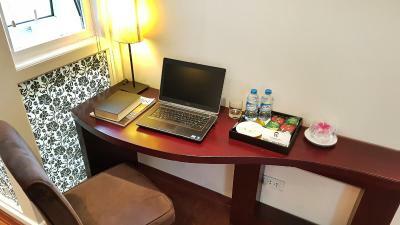 Providing free Wi-Fi, its rooms have laptops and flat-screen TVs. 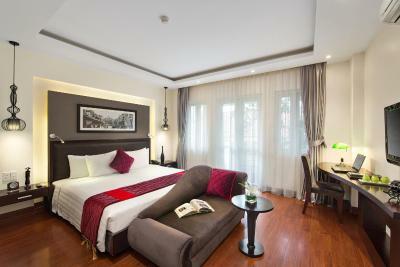 The Hanoian Hotel is a 10-minute walk from Hoan Kiem Lake and the famous Water Puppet Theater. 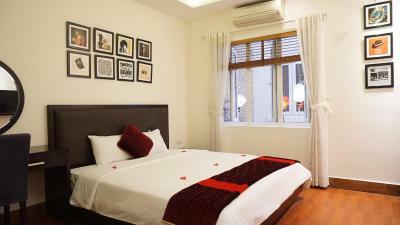 It is a 15-minute walk from Ho Chi Minh Mausoleum. 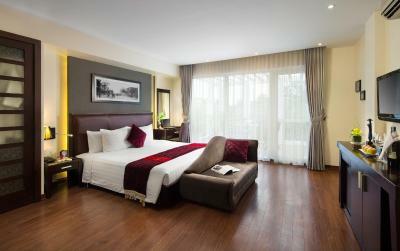 Noi Bai International Airport is a 40-minute drive away, while Hanoi Train Station is 1.2 mi away. Offering views of Hanoi’s streets, the air-conditioned rooms come with cable TV, a fridge, and an electric kettle. 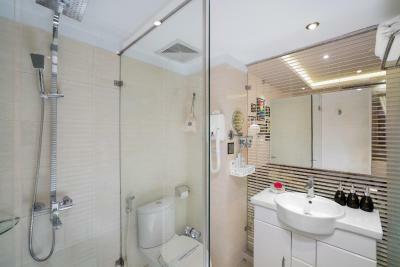 Each room has a private bathroom with toiletries and a hairdryer. 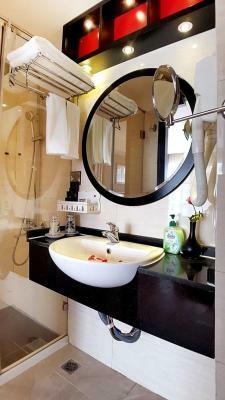 This nonsmoking hotel features a 24-hour front desk offering car rentals, currency exchange, and laundry services. Shuttle services can be arranged at an extra charge. The restaurant serves Vietnamese and Western breakfast, while the bar offers alcoholic and nonalcoholic drinks. When would you like to stay at The Hanoian Hotel? Offering plenty of natural light through its large windows, this air-conditioned room is fitted with a flat-screen TV with cable channels, tea/coffee making facilities, a mini-bar, and a personal safe. Private parking is available at a location nearby (reservation is not needed) and costs VND 200000 per day. 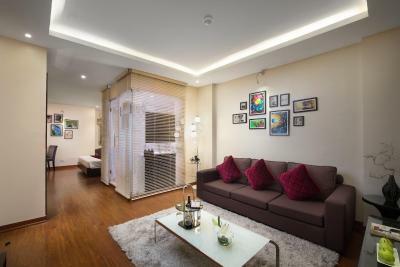 Offering plenty of natural light through its windows, this air-conditioned room is fitted with a flat-screen TV with cable channels, tea/coffee making facilities, a mini-bar, and a personal safe. Offering plenty of natural light through its large windows, this room for 3 features panoramic views of Old Quarter. This air-conditioned room is fitted with a flat-screen TV with cable channels, tea/coffee making facilities, a mini-bar and a personal safe. Offering plenty of natural light through its large windows, this suite features panoramic views of the Old Quarter from its private balcony. 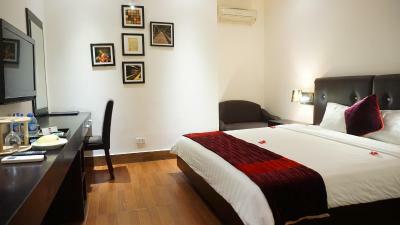 This air-conditioned suite is fitted with a flat-screen TV with cable channels, tea/coffee making facilities, a mini-bar and a personal safe. 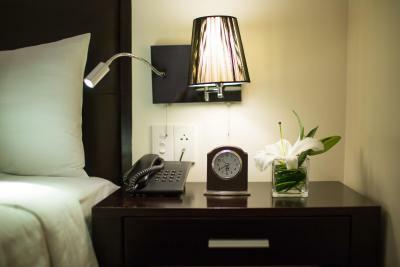 With large windows, this air-conditioned suite is fitted with a flat-screen TV with cable channels, tea/coffee making facilities, a mini-bar, and a personal safe. 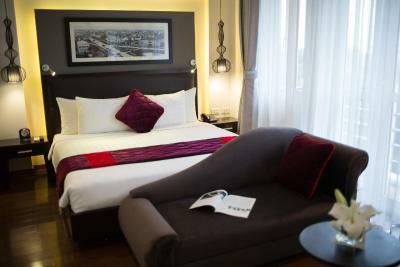 Offering additional space, this suite features modern and stylish furnishings and a sofa. Located on the 4th floor of an 8-story building, this penthouse consists of 2 bedrooms, a private balcony that opens out to views of the city and a large glass window. 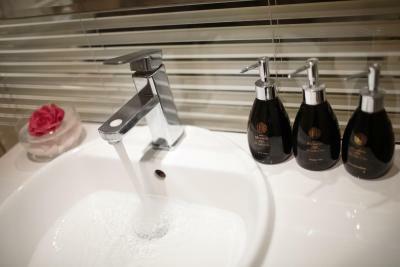 Private bathrooms come with shower facility and free toiletries. 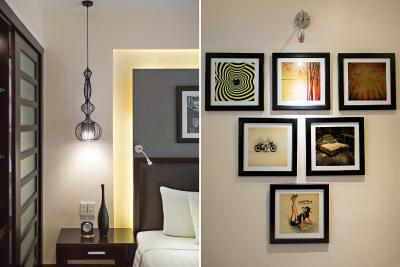 House Rules The Hanoian Hotel takes special requests – add in the next step! The Hanoian Hotel accepts these cards and reserves the right to temporarily hold an amount prior to arrival. Please inform The Hanoian Hotel of your expected arrival time in advance. You can use the Special Requests box when booking, or contact the property directly using the contact details in your confirmation. Great location and breakfast. The best part was the fantastic service, especially Nhàn, was really helpful and went above and beyond to make it easier for me, and the rest of the staff was really kind and helpful as well. The staff is very polite and helpfully. The location is perfect to discover the old town. The staff were very polite and helpful. I got a head cold while we were there and a male person took us to a pharmacy and translated for us. Excellent service. The room had everything we wanted except for a cold fridge when we arrived. Beacause you use a card for entry to your room and to switch the power on, the fridge took some time to get cold. A minor problem really. Tracy and else were fantastic and nothing seemed too hard. At times a little noise from next door buildling, which were under re-construction. TOP-Service from the staff. Very good location, close to everything. Very kind welcome. Pick-up service from the airport worked perfectly. Really good value for the money. Special thanks to ms Alice and Ms Jane for helping us with traintickets, spa-bookings, transit to Sapa, maps and infos. A perfect start on our 3 weeks tour in Vietnam. The staffs were very kind and professional.